Used BMW 3 Series Review - 1999-2006 | What Car? Which used BMW 3 Series coupe should I buy? They're all good, but go for a post-September 2001 car. That's when the BMW 3 Series Coupe gained an uprated chassis, better security and standard air-con across the range. However, even from its launch in May 1999, it was well equipped: alloy wheels, alarm, anti-lock brakes, traction control and electric windows were standard. Nonetheless, many were stacked with options, so hunt down an SE car with tasty extras. Look especially for leather, sat-nav and xenon headlights, which will improve resale value. Early 318Ci models had a 1.9 engine, which was replaced by a better 2.0-litre 318Ci in 2001. Our favourite is the 2.5-litre six-cylinder engine - either the 170bhp 323Ci or, on later cars, the 192bhp 325Ci - which gives the best mix of performance, refinement and economy. 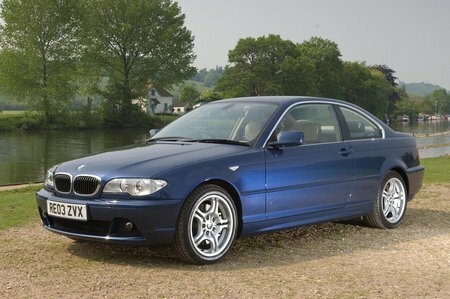 The 330Ci petrol and 330Cd are swift, but you'll need deep pockets to buy one. The 320Cd diesel is smooth, quick and economical.